It is with great sadness that the family of Barbara Florence Calkins (nee Hunt) announces her passing on April 20th, 2017 after a short but courageous battle with cancer at the age of 87 years. 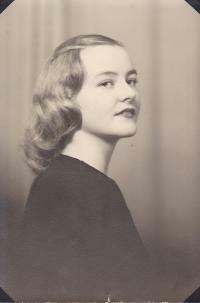 Barbara was predeceased by her husband, Jack, of 62 years; loving daughter, Maureen; sons, James, Kelly (Sylvie) and Michael (Laura); grandchildren, Cassidy (Charissa), Jarvis (Erica), Emily, Ben, Seumas, and Moia, and great-granddaughter, Charlotte. Barbara had a loving spirit and a great devotion to her family. She was cherished for her gracious welcome to all at the large gatherings at home and the cabin. Her beautiful gardens and a love of nature will be forever remembered. Family would like to thank the doctors and nursing staff at the Grey Nuns Hospital Palliative Care Consulting Team, and as well as the staff at the hospice unit of the Capital Care Norwood facility, with special thanks to Dr. H.S. Sidhu and the warm and professional nursing staff. A Memorial Service will be held at 7:00 p.m. on May 1, 2017, at St. John the Evangelist Anglican Church, 11111-57 Avenue, Edmonton. Donations in memory of Barbara may be made to The Alberta Cancer Foundation, 700-10123 99 St Edmonton AB T5J-9Z9.